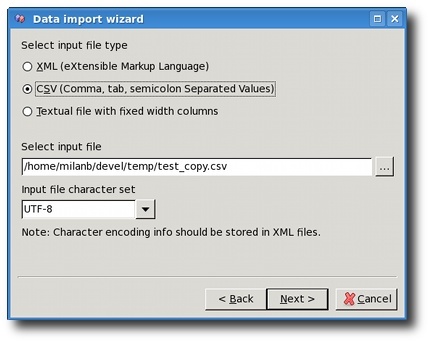 XMLWizard is a tool used to import and compare data from files against Firebird databases. It supports XML, CSV and flat (fixed-width column) textual files. 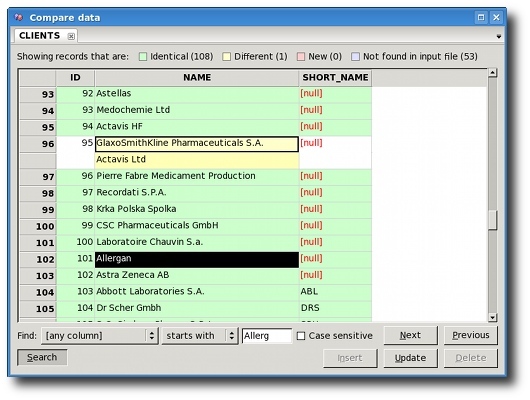 Easy to use wizard interface allows you to select the input file and database parameters in just a few steps. 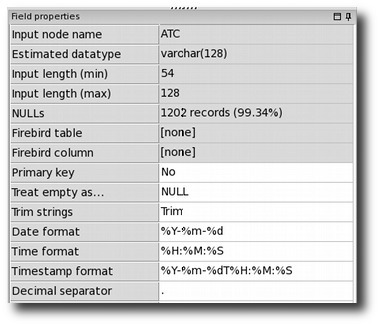 If the table to store data in Firebird does not exist, you can create it with a few mouse clicks. Compare data from input file against the database and cherry-pick the desired changes to the database. 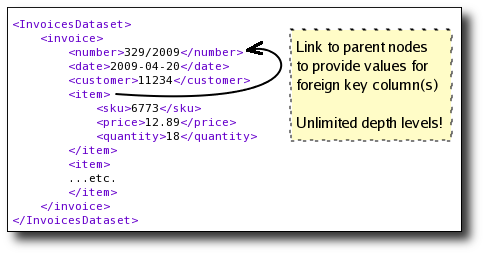 XML files often contain data for multiple tables. The structure can either be flat, where each table is separate, or nested, where child tables are represented as sub-nodes of master table's XML node. XMLWizard supports both formats. Many times you will get an XML file without XSD or XSLT schema. You might also get a CSV or flat textual file without any documentation about the datatypes that can be found in each column. XMLWizard reads in the whole file, reports what it detected and suggests the datatype that matches the field. Although it is not possible to open such files directly, all spreadsheet programs have an option to Save as or Export data to CSV, TXT and XML formats. XMLWizard has been tested with various outputs generated from those three programs to ensure quoted identifiers, multi-line values and other special cases get imported properly. This 5-minute video shows typical usage of XMLWizard. It is also available in high definition - if you have a fast Internet connection, just click the HD button after it starts.